Those of you who have been reading my blog for a while know that I moved to southeastern Pennsylvania from the Washington, D.C. area about a year ago. I had a much smaller house and a much much smaller yard. It was pretty typical for the D.C. suburbs, but here in western Montgomery County my yard is a lot larger. One of the other things I have here is nature, and lots of it. In addition to the large variety of birds, we have rabbits, deer, foxes, moles, ground hogs, and, I’m told, an occasional bear is seen in town. A recent post was about my vegetable garden. 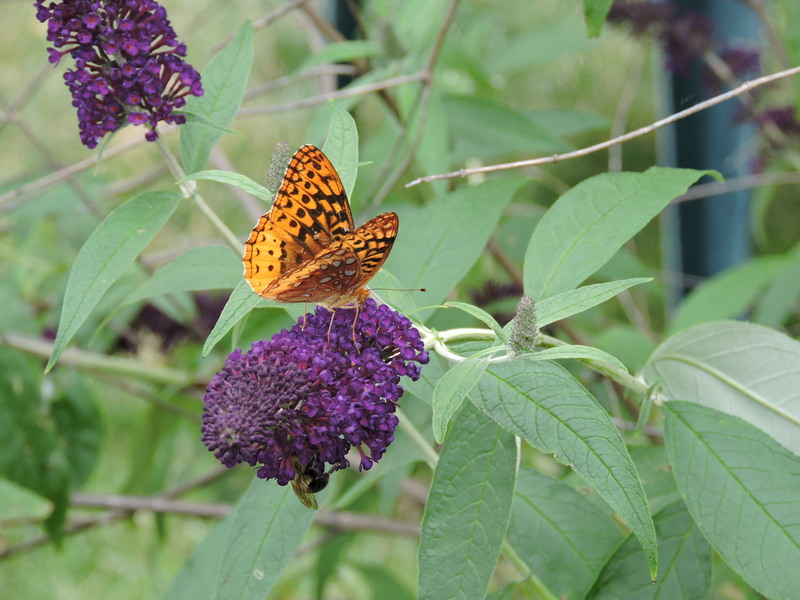 One of the reasons for its success is the bee and butterfly population. When they’re not in my garden, I enjoy watching them from my deck. 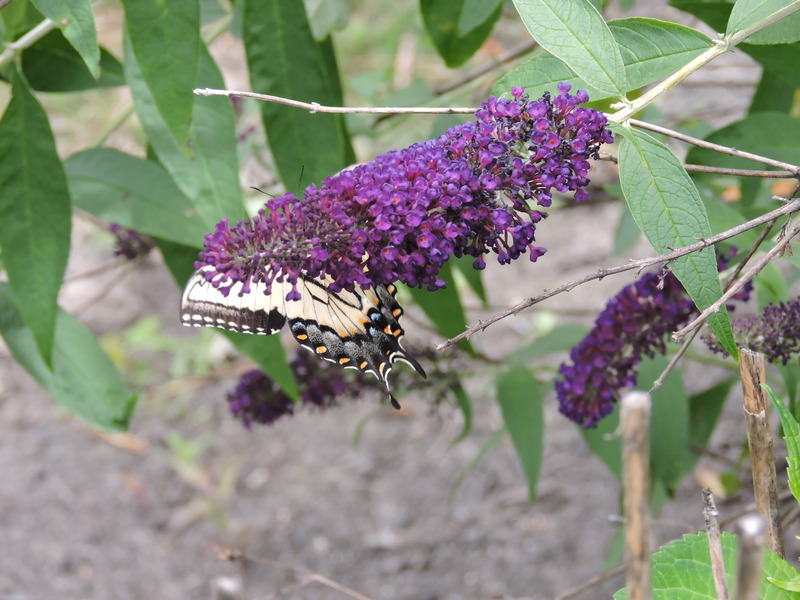 This post is about my butterfly bush. 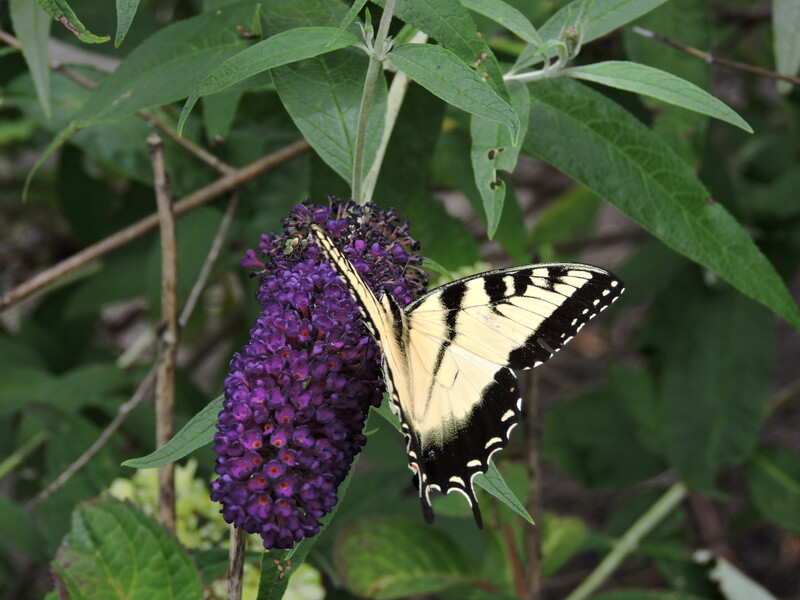 Next to my deck is a butterfly bush. It spreads out leisurely and sloppy, even more so now that I had an errant bush in front of it removed. Until May it looks like a cluster of branches, then suddenly, it breaks out in green leaves and if I am very patient, eventually the purple flowers appear and voila, so do the bees and butterflies. As you may know, a lot of places don’t have enough bees or butterflies. 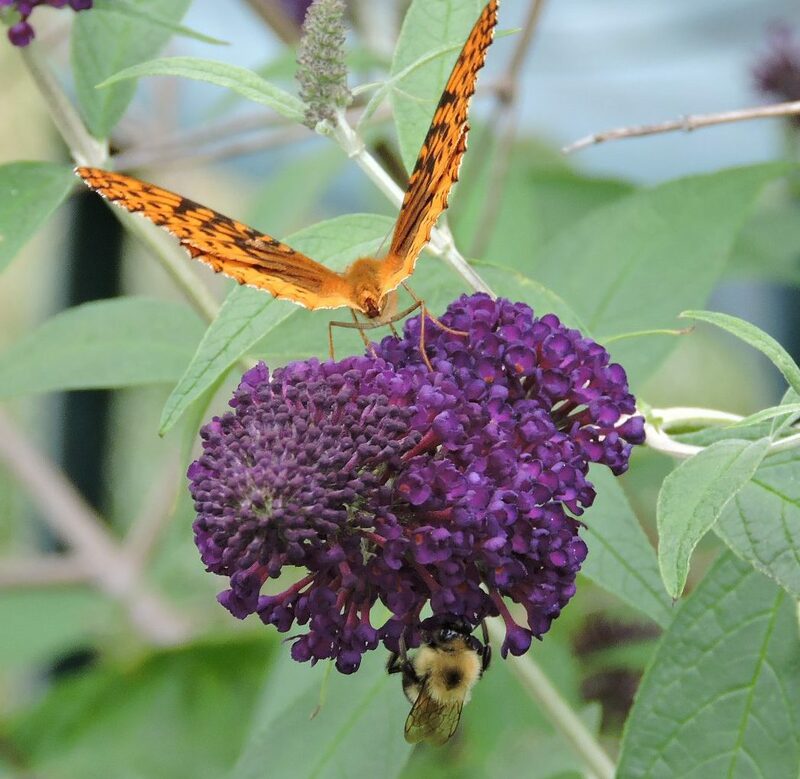 Without bees and butterflies some plant species would be unable to reproduce. No bees, no food. It’s a simplistic explanation, there’s a lot of truth to it. I don’t want to dwell on the science of pollination here that can be explained better elsewhere. What I do want to do is pause a moment on the simple pleasures of life on a July day and the beauty of bees and butterflies. ← The green giant, or how many ways can you cook a zucchini? Gorgeous pictures. So happy for you. Thanks BJ. Am really enjoying my flying friends when I sit on the deck. They are getting very tame.